Ideally, we’d all be in Ocala or Wellington throughout the winter months, far from the snow and ice that make trailering our horses more difficult in the winter. However, the reality is that we do have to deal with winter weather – breeding season is late winter and early spring for many horse industries, competitions continue through the winter in most horse sports, and emergencies do come up at all times of the year. 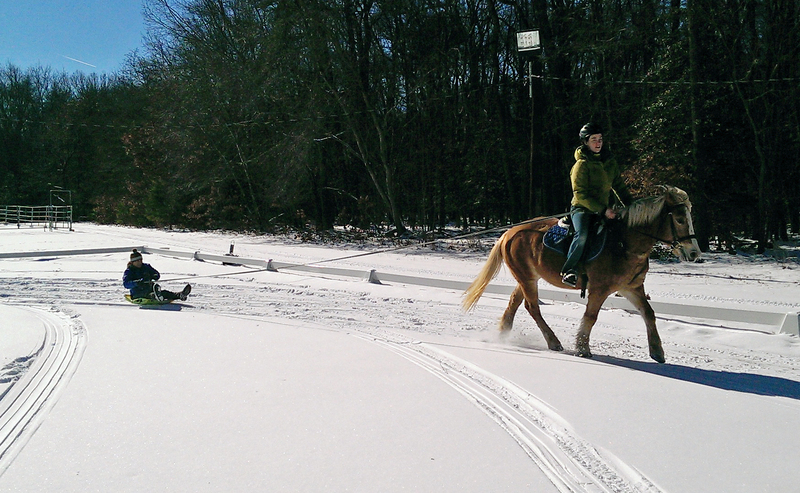 By taking a few extra steps and planning carefully, trailering horses in winter weather does not have to be a very difficult thing to do. 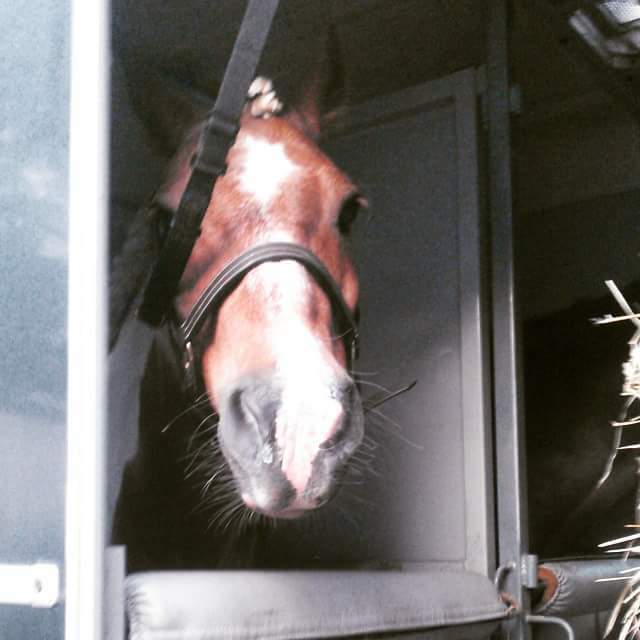 Trailer Safety makes Rowdy a happy pony! Check your vehicle and your tires. First of all, always make sure your truck and trailer are ready for the season. Test your heater and lights every time you hook up your truck, as well as checking that all of your trailer’s lights work as they should. Tire pressure is more volatile in cold weather, and good tread is even more important to have when you travel on snow and ice, so keep an eye on your wheels and keep them in good shape. Tire pressure becomes even more important when you’re traveling from cold weather into warmer weather, or vice-versa. Tire blowouts occur due to pressure changes, so be safe and carry a tire gauge to be sure your tires properly inflated. Vehicle batteries are another part that often falls victim to cold weather, so if you’ve got an older battery, be sure to check it occasionally. Know the rules of the road. In some states and on many major highways, heavy trucks and trailers must have snow chains for their tires throughout the winter months. Be sure you know the rules from your home state and in any states you may be traveling. Even if you don’t anticipate trailering in winter, be sure to know the rules for the roads that would take you to the nearest emergency vet clinic, should the need arise. Headlights – clean and on. While it may seem like a large truck and trailer are very visible to other drivers, keeping your headlights clean and on whenever you’re on the road is one thing you can do to help increase your visibility on the road. At the very least, be sure your headlights are on in any questionable weather, and always follow the wipers on, lights on rule. Drive cautiously. While we’re all extra careful when we’re hauling horses, in winter weather, it pays to be extra extra careful. Allow more time to stop and be sure you brake gently, especially in bad conditions. Keep extra following distance and slow down well in advance of lights, curves, or bumpy roads. Driving carefully also means keeping your gas tank full – because you can never be sure of road conditions in winter weather, don’t let it come down to hoping the next gas station you see is open and running at full capacity. Carry ice scrapers! We all remember the pictures from Aiken in 2014, when a rare ice storm took everyone by surprise. In addition to pictures of firetrucks filling water troughs, there was an image of four star eventer Will Coleman scraping his windshield with a cookie tray! That could have been avoided by having the right equipment in the vehicle. Keep your trailer ventilated. While it may be tough to open a few windows when it’s very cold outside, remember that horses thrive in cold weather, and a stuffy, damp trailer environment can cause more problems for your horse than letting some air in. Stock trailers may be too open and windy, though, so if you’re hauling in a stock trailer, be sure your horses are dressed appropriately and able to stay warm. We know that trailering in bad weather is not fun, but if you take your time and remember to check on your truck and be prepared the weather, you’ll increase your chances of having a worry-free trip. And hey, it might help to remember that even the equestrians who fly south for warmer weather have their winter weather struggles! Have you wrapped all of your presents yet? We certainly have not – between watching Leg Up contest entries and sending out all of the Equiflexsleeves that our customers are ordering for themselves or as gifts, we’ve been so busy! Thank you all again for a wonderful year! However, the holidays are really about spending time with those you love, and we encourage you to snuggle up with your pets and your family this weekend to watch one of these Christmas movies we’ve dug up. There are a lot of “Top Christmas Movie” lists on the internet, but we’d like to think we know how much our fans love their pets, so here’s Equiflexsleeve’s movie list – Top Christmas Movies Featuring Animals! Annabelle’s Wish – This cute animated family film came out in 1997. It takes place in a rural Tennessee farming town and stars a young calf named Annabelle and her best friend, Billy, who is the farmer’s grandson. Annabelle is born on Christmas Eve, meets Santa Claus, and wants to become one of his flying reindeer. Her friendship helps young Billy, who became mute after a traumatic barn fire. This is a heartwarming Christmas movie featuring animals that portrays an animal friendship that us horse people can really relate to! Gremlins – This 1984 comedy-horror movie all starts when a well-meaning father purchases a strange mogwai named Gizmo as a Christmas gift for his son, Billy. The shopkeeper who sells Gizmo warns the man to never get him wet, never feed him after midnight, and never expose Gizmo to strong sunlight. Billy’s friend accidentally spills a glass of water on Gizmo, starting a chain of reactions that leads to the sweet little mogwai turning into an army of Gremlins, who wreak havoc on the town. While this isn’t a traditional Christmas movie featuring animals shrouded in morals and family matters, it is absolutely a cult classic and one of the most fun movies of all time. A Charlie Brown Christmas – This wonderful movie has been appearing on TV since 1965. Backed up by a wonderful Jazz soundtrack, Charlie Brown sets off on a quest to remind the rest of the Peanuts gang about the true meaning of Christmas. While at first his friends laugh at his attempt at directing a school play, they come together at the end to support Charlie Brown. It may be a bit of a stretch to call this a Christmas movie featuring animals, but Snoopy and Woodstock are key characters in this classic Christmas special. Rudolph the Red Nosed Reindeer – Perhaps the very first movie that comes to mind when you think about Christmas movies featuring animals is this TV special from 1964. Rudolph sets out to prove to his Reindeer friends that he should not be judged by his red nose alone. However, he’s mocked by the other reindeer, and runs away to the island of Misfit toys. In the end, Rudolph saves the day when Santa needs a beacon of light to guide his sleigh! The Grinch – This feature-length film is the second highest grossing Christmas movie of all time! Based on the Dr. Seuss book How the Grinch Stole Christmas, the movie expands on the book’s plot and explains why the Grinch is so heartless and mean. Cindy Lou Who is determined to help the Grinch find the true meaning of Christmas. By their side the whole time is the Grinch’s dog, Max, who dresses up the reindeer to help the Grinch’s evil plan, and who also learns to have a heart when Cindy Lou Who finally gets through to the Grinch! Bojack Horseman Christmas Special – This Netflix special deserves a spot on the list, being that it is a recent Christmas movie featuring animals almost exclusively in the lead roles. It’s animated, and we’ll warn you now, that it may not be everbody’s cup of tea. The dry humor in Bojack’s entire series is present throughout the Christmas Special, when washed-up former sitcom star Bojack revisits his sitcom’s Christmas special with his roomate, Todd. In the episode, a young orphan named Sabrina discovers Santa and wishes for her parents to be alive again. While the strange ending leads Todd to be very confused, it reignites Bojack’s passion for watching himself act on screen, and he insists to Todd that they continue to watch the series’ eight other Christmas specials. If you’re a member of the United States Equestrian Federation or other Equestrian show organizations, chances are you’ve been getting e-mails and letters about renewing your membership. If you’re new to the world of recognized competition, you may be overwhelmed with the options and requirements for your specific discipline. Don’t worry, we here at Equiflexsleeve have got your back! We’re all about making your life easier and saving you time, so enjoy our breakdown of the major memberships you need to compete in 2016! Junior Member – This is for anyone under the age of 18 who will be competing, or owns a horse who will be competing, in USEF competitions. A one year membership costs $55 and runs from 12/1/2015-11/30/2016. You will also need to be sure your horse has either a Horse ID or a Horse Record, depending on your goals. If you are just starting out and want to get a feel for USEF competition, you can request a free Horse ID number online. However, having only a horse ID number will make you ineligible for certain year end awards. 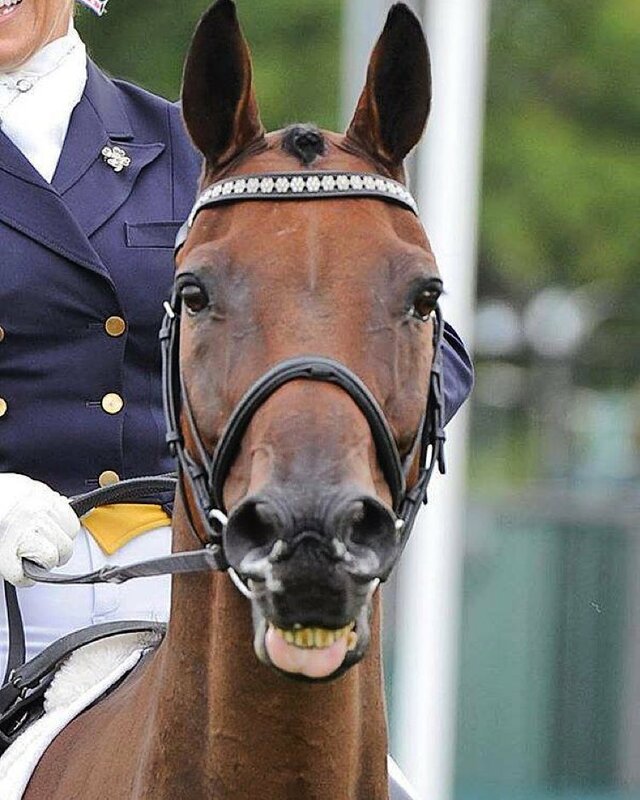 Horses must be RECORDED (and incur an annual cost of $75, or $200 for a lifetime membership) in order to be eligible for USEF Awards and Championship programs, to compete in a Ranking List class, to qualify for USEF/USDF championship classes, or to acquire an FEI passport or registration number. As with most organizations, if you choose to buy a multi-year (3) or lifetime membership, you will get a reduced yearly rate. You can find information about Membership and Horse Recording services on the United States Equestrian Federation website. 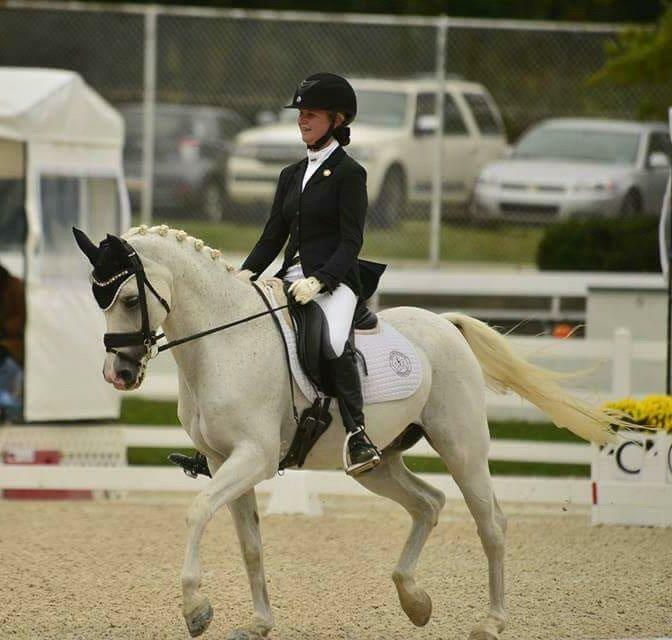 For competing in recognized dressage competitions, you must be sure that you have a USDF membership, and that your horse is recorded with USDF as well. USDF’s membership options can be confusing, particularly if you’re already a member of a GMO, or group member organization. 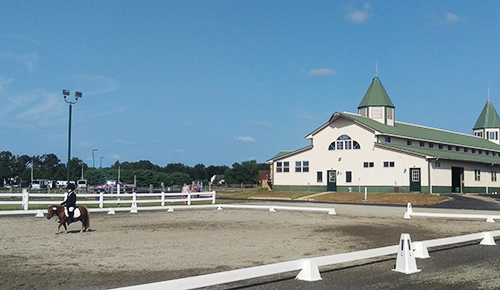 If you’ve been competing at schooling shows locally, chances are you know which GMO is your local club – for example, in New Jersey, we have ECRDA, EDSCTA, SGSDS and a few others. With a membership to any of these clubs, you’re automatically granted a Group Membership to USDF. That’s great! If you’re looking to show at local USEF/USDF recognized competitions, your Group Membership may be all that you need. You’ll be able to compete in these competitions and you will be able to submit scores for USDF rider awards. However, if you dream of participating in the Great American Insurance Group/USDF Regional Championships or Breeders’ Championship Finals, or you plan to declare for an Adequan/USDF Year-End Awards, you’ll need to get yourself a full, participating USDF membership. If you’re under 21 years old, you’re still able to get a youth membership, which will cost $60 for the year. Anyone older than 21 will get a senior “PM”, for $75. There are also discounts for 5 year and lifetime memberships. Your horse will also need a USDF membership. As with USEF, you can request a cheaper ($25) Horse ID number, and be eligible to compete, but not eligible for Year End awards or Championship shows. For full benefits, you’ll need to get your horse a lifetime registration with USDF, for $95. If you’re an eventer, you’ll need to join the United States Eventing Association (USEA) to participate in recognized USEA Horse Trials at all levels. Your USEA membership will also allow you to compete in USEA Event Series Programs for Young, New, and Future event horses, as well as the USEA Classic Series, Adequan USEA Gold Cup Series, Charles Owen Technical Merit Award Events, and the Nutrena USEA American Eventing Championships. A senior membership costs $85, and a junior membership is discounted to $60. If you’re a college student attending an affiliated college, you’ll continue to be eligible for a $60 membership until you graduate. 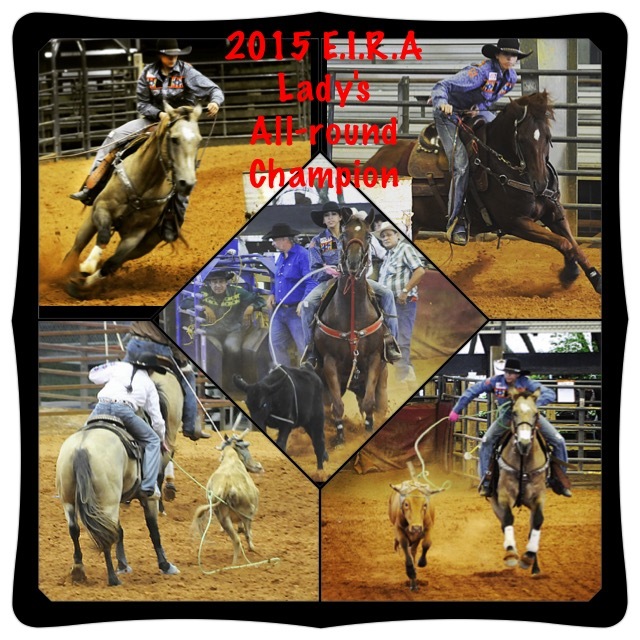 There are also scores of local organizations – again I point to ESDCTA in my neck of the woods – that support members in a smaller atmosphere than on the national stage, and host year end awards and championship shows on their own. It is absolutely worth joining these organizations, as they help you network with like-minded equestrians in your area. To compete in any hunter, jumper, equitation or hunter breeding classes at recognized competitions you need to have an active membership of the United States Hunter Jumper Association (USHJA), unless it is a restricted breed show, or a designated “Local” competition. A one year membership for 2016 costs $85, plus an additional $2 or $7 USHJA Fee, depending on the level you compete. You’ll need to register your horse, too. A lifetime USHJA membership for your horse costs $75. You can submit your Active registration and your horse registration along with your USEF membership forms, and your association number and horse recording numbers will be the same across both organizations. Breed organization costs and requirements vary significantly, but most require breed papers and an annual recording fee of anywhere from $30-$75. Breed organization memberships are required if you would like to declare your horse for an All-Breeds award with USEF, or for various awards within the organization. 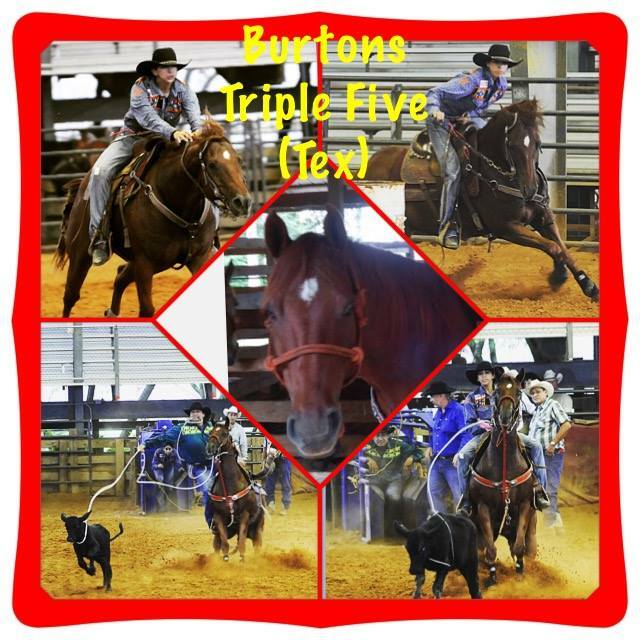 For example, a Paint horse registered with APHA whose owner has an active membership will earn Certificate of Achievement points for scores in recognized USEF competition. Check with your horses’ breed assocation to find out what great benefits they can offer you and your horse! At first, these fees often give a new participant a sort of sticker shock – “it costs WHAT to join the organization?!”. But, when you think about all that these organizations do to enhance and support our sports, it’s really a great bargain. We get newsletters, Championship shows, clinics, seminars, banquets, etc. While rising entry fees are a discussion with supporters and critics, one thing is absolutely certain in the world of horse showing – none of this would be possible without wonderful show volunteers. The ring stewards, the bit-check crew, jump judges and score runners – We at Equiflexsleeve THANK YOU! 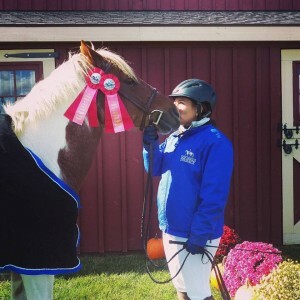 We encourage every one reading this blog to go out of their way to thank a horse show volunteer this show season, and to dedicate a few hours on a weekend afternoon to helping your local show organization run a great event. Without volunteers, we would not be able to enjoy the sports that we love so much. We’d also like to make a special note of TWO contests we at Equiflexsleeve are hosting this December. This month is your best chance to win Equiflexsleeves all year. Then, head on over to the Equiflexsleeve online store where, for the entire month of December, we will be GIVING AWAY a free pair of Equiflexsleeves to 1 OUT OF EVERY 6 online purchasers at www.equiflexsleeve.com! Your can keep the extra pair for yourself OR have us send a Secret Santa directly to the person of your choice. This is a great way to say “Thank You” to your trainer or someone special at the barn. We are so thankful for such a great year, we want to pass it along!! 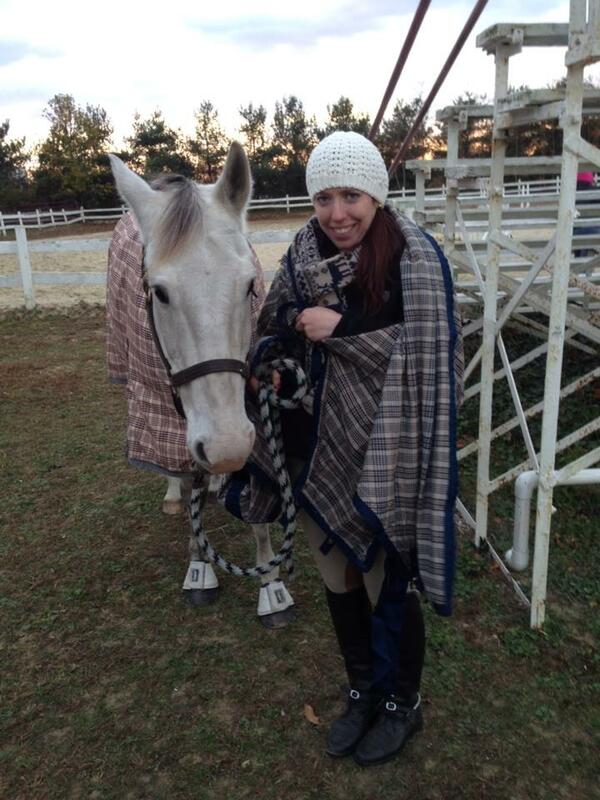 Equiflexsleeve fans Lynn and Max bundled up at a late fall show in 2014! Brr! Winter presents a challenge for horse owners, particularly those of us who continue to pack up the horse trailer and travel to indoor shows when the weather turns cold. Showing in winter requires more thorough grooming due to thick coats, or more thorough blanketing due to clipped coats. Regardless of your horse’s hair, there are a few winter horse show tips things to keep in mind that will make your winter show days much easier. While bringing two layers might seem like a bit much, it’s hard to predict the weather and in many show venues are in big, open fields. Not only will a wool or fleece cooler help keep your horse warm while he dries, but layering it over top of an anti-sweat sheet will help speed up the process and ensure your horse does not get a chill. Have extra hay ready to keep your hay bags filled. Digesting hay constantly will keep your horse warm and happy while they stand in their stalls or on the trainer, even in the chilliest weather. Bring extra layers of clothes for you, too. There’s nothing worse than standing around at a show with numb toes, wishing you had brought an extra pair of socks, or warmer boots to change into when your divisions were done for the day. Toe warmers and hand warmers are not just useful for keeping yourself warm in cold weather, but they also make fantastic bit warmers, too! Make sure your horse is drinking water – oftentimes in colder weather, horses don’t want to drink as much. It is very important to keep encouraging them to drink. Sometimes warmer water will help, so if your horse does like warm water, you can bring an electric kettle or find hot water in the show barn to mix in. Make sure to pack something to support your horse’s legs when trailering, after the show, and especially if you have long breaks between classes. While traditional standing wraps can work, we love our Equiflexsleeves (of course!) as a quick and easy way to add and remove support in a flash. Thank your trainer, and if you have friends and family there, be sure to thank them, too! It’s one thing to stand around all day at a typical “hurry up and wait” show during pleasant weather, but to stick it out through frostbitten cheeks and frozen fingers is a sure way to see how much these people care about you and your horses’ success! Good luck this winter, and don’t get too discouraged – spring and 60-70 degree days will be here before you know it! 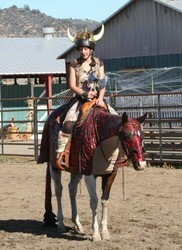 Costume Contest Winners from Equiflexsleeve! Halloween is one of our favorite holidays, and this year we celebrated by dressing up and trick or treating – with our horses, of course! 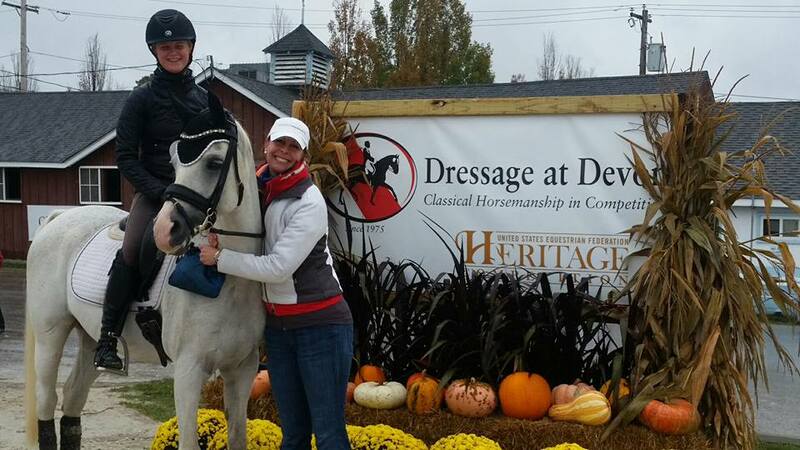 We always have so much fun making our horses’ costumes and particpating in costume classes that we decided to have our own costume class this year – with an online contest. 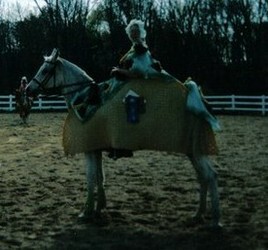 We had 99 equine costumes submitted and over 2,500 votes cast for all of our entrants – thank you to all who participated. One winner and one runner-up in each of our categories – Funniest, Scariest and Most Creative – won Equiflexsleeves – a full set of four for the grand prize winners, and a pair for each runner up. Oh, we couldn’t help ourselves – we had to pick some of our staff favorites, too! Staff picks also win a pair of Equiflexsleeves. Congrats to all! We’re thrilled to be sending your Equiflexsleeves, and hope your costumed best friends enjoy them! 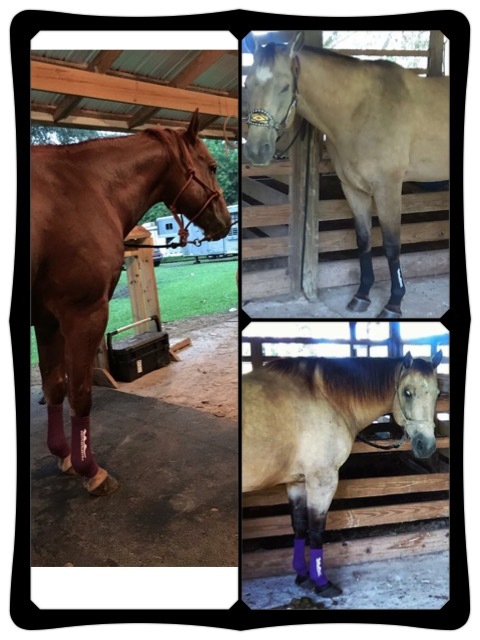 We’re sure they will – after all, they’re the best thing to happen for equine leg support, because nothing is scarier than having to unroll and re-roll standing bandages multiple times a day! Check out our winners below. The Taco Beast won our Funniest category! 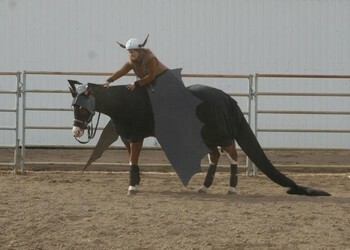 How to Train Your Dragon – Our winner for Most Creative! This version of Toothless was the terrifying winner of our Scariest category! Hey there, Equiflexsleeve fans! Equiflexsleeve team member Kim checking in here. I was at Dressage at Devon earlier this month, and despite the freezing rain and wind, had a wonderful time watching all of the classes. 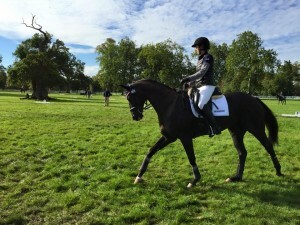 As I mentioned in our previous blog post about ponies, I am one of a growing number of riders with ponies in dressage, so I loved watching the FEI Pony class. I tweeted the below messaged to see what kind of response we’d get, and lucky for us, we got a great connection as a result! 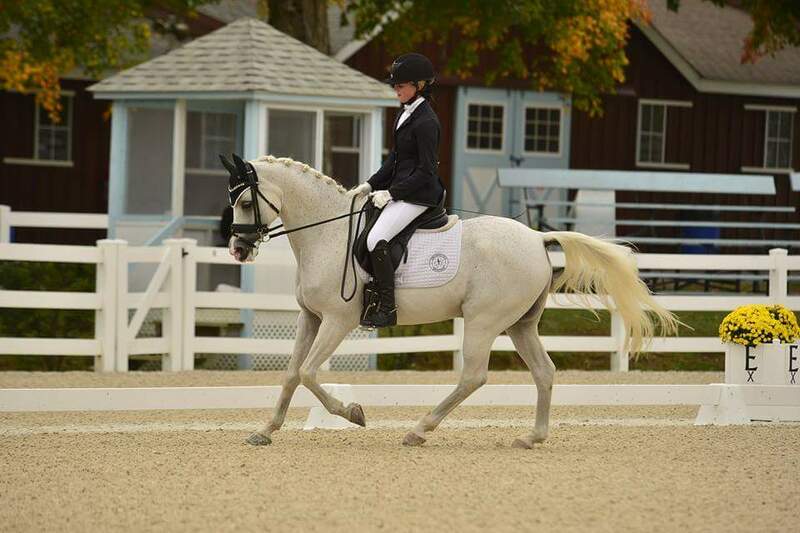 My name is Hannah Irons and I am a 15 year old youth dressage rider from Queenstown, Maryland. With my pony Bohdjan (BoBo), I recently competed in the FEI Pony classes at Dressage at Devon. Competing at Devon for the first time was such a great experience. The highlight of the cold and soggy weekend was winning both the FEI Pony Team and Individual tests. Bobo was well behaved and I am very proud of him for trusting me to ride through some spooky scenarios at such a big venue. On our second day, for the individual test, BoBo was much more relaxed and ridable resulting in an improved score of 66.4%. Competing at Devon has always been a dream and I am so grateful to have had the opportunity to compete in such a major competition. It was inspiring to watch top horses and riders from all over the world riding at one of the most prestigious competitions in America. It’s not every day that I get to warmup in the arena with Olympians! Dressage at Devon, celebrating its 40th Anniversary in 2015, combines world class international dressage competition with the world’s largest open breed show. 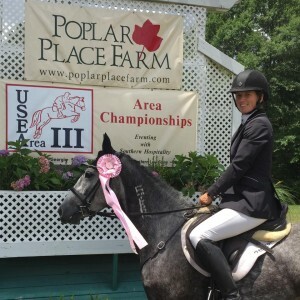 The historic Devon Horse Show grounds, in Devon, Pennsylvania, provide a great venue for this exciting event. One of the highlights was watching the amazing Temple Lipizzaners perform! 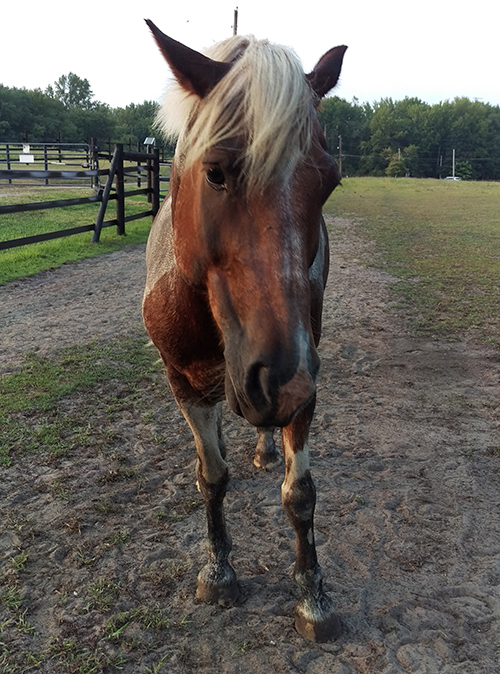 BoBo is a 16 year old, gray, Dutch Sport Pony gelding that I am leasing from Dressage 4-Kids Inc. BoBo was generously donated to Dressage 4-Kids by the Davis Family. 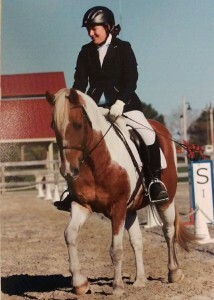 I am thankful for the opportunity to ride such an amazing pony and gain the experience of competing at the FEI levels. 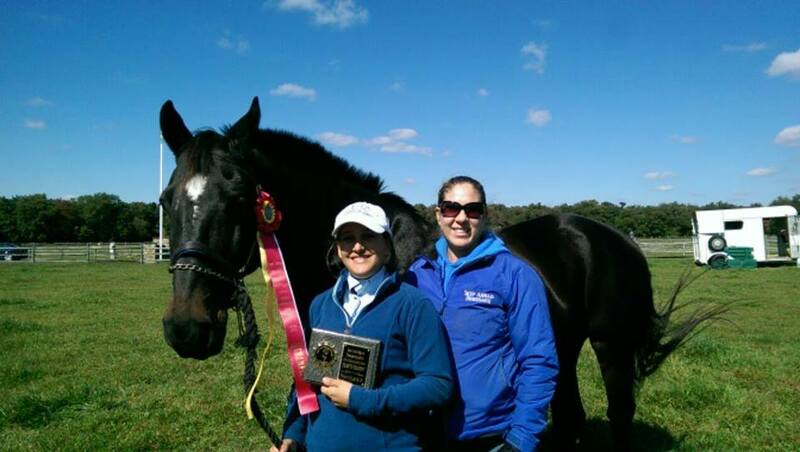 Dressage 4-Kids is a fabulous organization that promotes youth dressage in the United States. They offer clinics and competitions throughout the United States providing opportunities for youth riders to train with 2-time Olympian Lendon Gray, who is the president of Dressage 4-Kids, and other top professionals. BoBo and I have been together for four months and our bond and trust continues to grow. He can be challenging to ride and sometimes has a mind of his own…After all, he is one smart pony! BoBo knows the FEI Pony test from all of his years of FEI competition and anticipates the movements…he likes to take charge. My focus during a test is maintaining suppleness and keeping him ridable. Bobo and I recently competed at the National Dressage Pony Cup in Kentucky and were top in the FEI Pony division. Dressage at Devon was our final competition for the season and another step towards my goal of qualifying for the USEF Dressage Festival of Champions in 2016. We will travel to Wellington, Florida this winter to train with Olympian Lendon Gray in her Dressage 4-Kids Winter Intensive Training Program. We will also compete in a few CDI’s and hope to earn more qualifying scores for Festival. 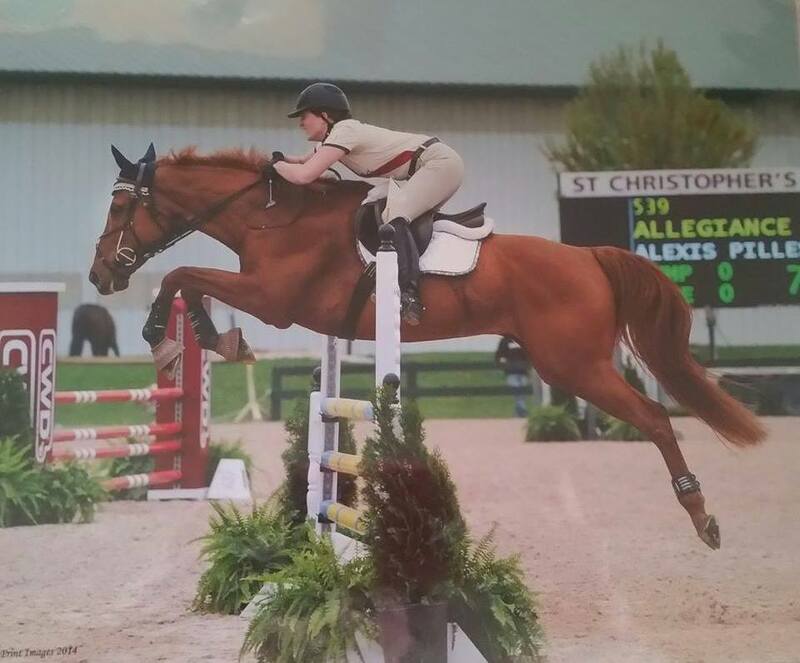 We at Equiflexsleeve LOVE sport ponies, and we can’t wait to see what Hannah and Bobo will do in the future! We’ll certianly be keeping an eye out fo rthem at the 2016 Dressage Festival of Champions! When Equiflexsleeve sponsored rider Laine Ashker launched a campaign to get herself and her incredibly talented OTTB Anthony Patch (known as Al) to Burghley, we knew she would meet her goal and get to the Burghley House. And when they arrived, we knew that Al would safely take her through all three phases. It came as no surprise to us, then, when Laine and Al completed one of the biggest and toughest three day events in the entire world. We loved following all of their progress on Laine’s facebook page and got her permission to share some of the highlights with our followers! Of course, Laine and Al were among the best dressed at the jog, and they passed with flying colors, ready to move onto dressage. 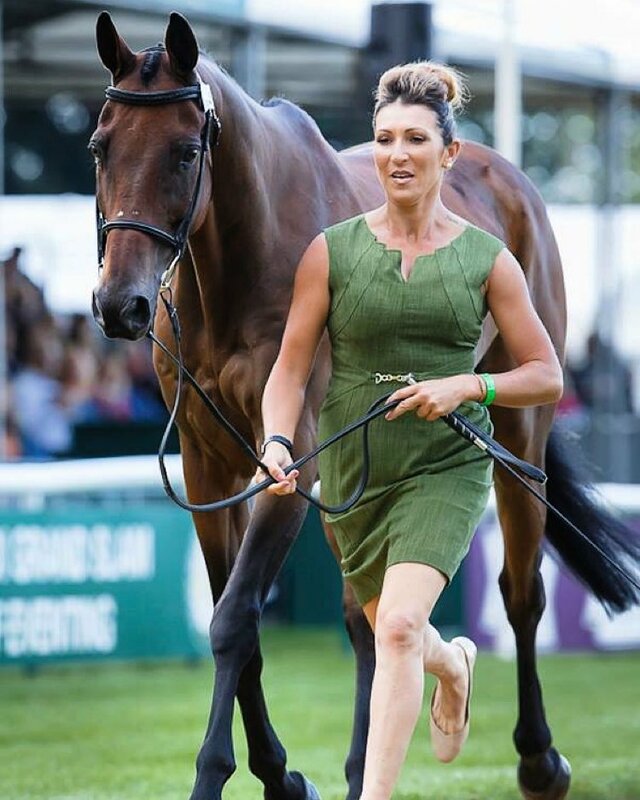 Al looked amazing as he jogged down the asphalt in front of an international crowd, while Laine proudly trotted her off track thoroughbred in front of the judge. Al and Laine were all smiles coming out of the sandbox, as they put on a wonderful test to start their Burghley trip off with a solid 48.8 to lead them into cross country the next day! The cross country course at Bughley is no joke. It’s widely considered the toughest in the world, and it’s certainly among the largest. When the famous Cottesmore Leap isn’t your biggest question of the day, you KNOW it’s a challenging course! Al and Laine made it through safely, and heading into show jumping meant that they only had one more phase before the incredible feat of completing at Burghley would be, well, complete! 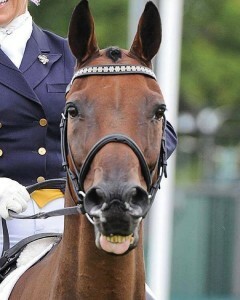 Show Jumping at Burghley started off on a bad note, with the first ride in the ring falling with her horse. Luckily, both horse and rider were okay, but following an accident like that makes an already trickier course even tougher. 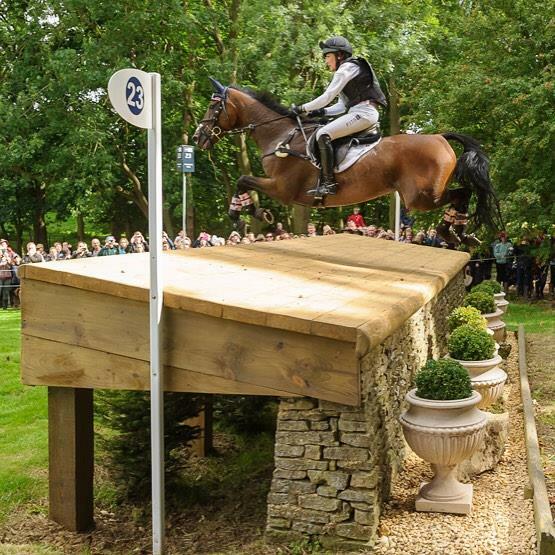 As he does, Al came through and he and Laine put together a nice course to do what they had set out to do, and what we knew they’d be able to do – complete at Burghley! What a huge moment for Laine Ashker Eventing! 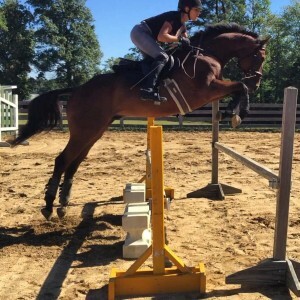 Now that she’s settled back into the states, Laine is continuing with her life at Laine Ashker Eventing, teaching lessons and schooling the other horses in her string. 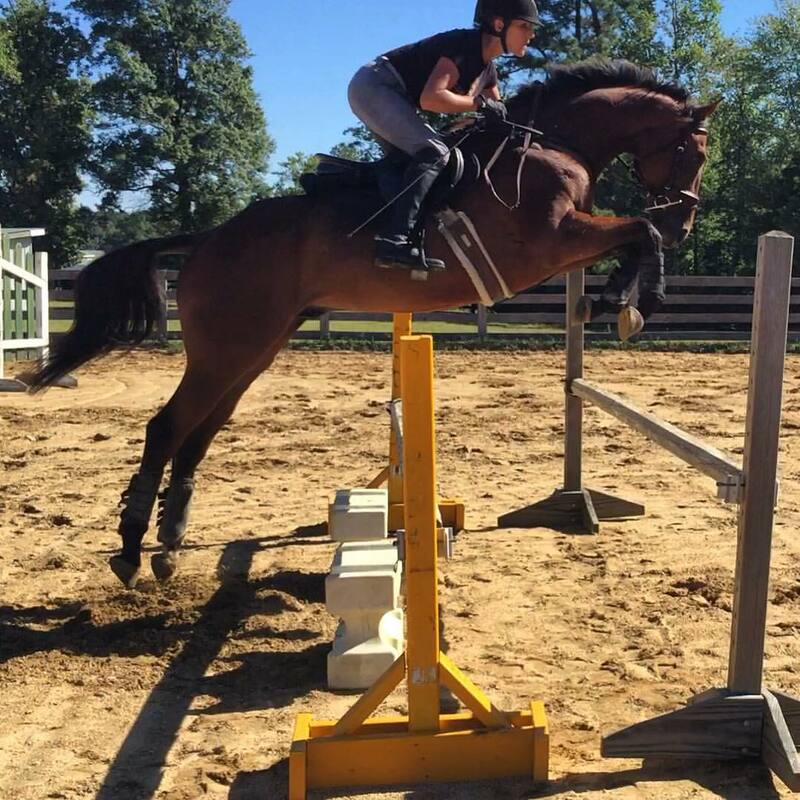 We love getting updates via social media, and we’re excited to see what her new Retired Racehorse Project thoroughbred, Call Him Paddy, will do this fall! Good luck Laine, and congratulations! Call Him Paddy… call him impressive! Hi, Equiflexsleeve fans! This is Kim, the pony wrangler of the Equiflexsleeve team. I am SO excited about our Equiflexsleeves for Ponies line that I had to write out an ode to ponies – we all know them, we all love them, and most riders have a great pony story to share! Can you spot the pony? Rolo and Lorelei at the tiny pony’s first show! At my own barn, we have a solid staff of ponies for every level of rider, and as good as they are, they’ve all got their “pony attitude” reserves, ready to tap into their true pony soul whenever they feel the need. Dory, getting in touch with her draft horse roots. Tater Tot is another barn favorite. He’s a 13 hand “mixed parts” pony – with tiny legs, a round belly, a short croup and a long head. What he lacks in, uh, style, he makes up for in every other way. 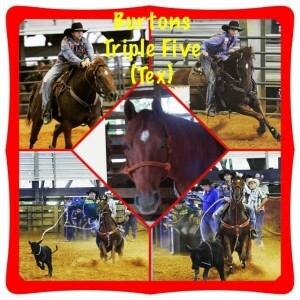 Tater is a big confidence builder for our riders, and he’s mostly good. Mostly. Sometimes, after weeks of jumping crossrails, logs, and small verticals without an issue, he’ll decide that he just does. not. jump. Nope, not Tater. Not a jumping pony this week! Other times, he’ll be soaring over cross country jumps like he’s never had an issue. Oh, pony! He may not love jumping, but he does love to party. 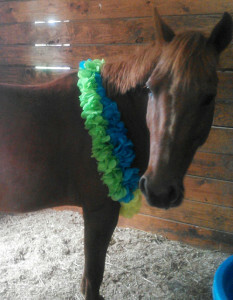 Our pony Rowdy is the cutest of the bunch, even though he earned his name by opening the trailer door on his way home. He was another killpen rescue who came to us because we were looking for a bigger Dory. Instead, we got a horse the exact same size as Dory, and rather than being the do-it-all pony that Dory is, Rowdy is a little, well, rowdy. We figured out that his canter was mostly a series of hops and poorly timed bucks while he tried to figure out how to put his legs in the right spot, and though he’s quite a handful some days, he’s got great brakes and will jump nearly anything you point him at. Even though he’s not an easy ride, he’s loved by many of our kids because he’s just so darn cute! Plus, when a pony rolls so thoroughly that you can’t tell if it’s mud or boots on their legs… you’ve got to appreciate their dedication! You know… maybe ponies get an unfair reputation for being bratty. 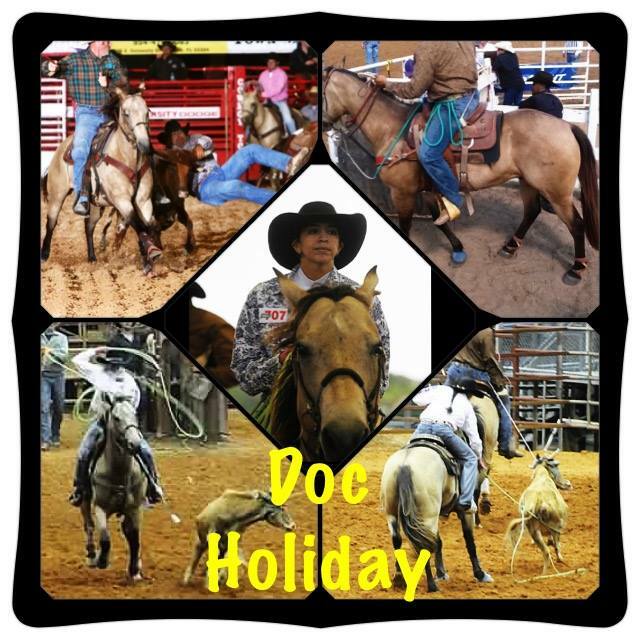 Each of our ponies teaches our riders something different – Dory is our ‘posting machine’, Tater Tot keeps our intermediate riders on their toes, teaches them not to jump ahead, and the importance of riding straight and forward, and Rowdy teaches everybody how to have a sense of humor when you’re working with a green horse. As a smaller adult rider, I am a huge fan of the rise of sport ponies (and clumsy ponies!) in this country, because they’ve been showing off what us pony riders have known all along – that for what ponies lack in height they make up for in heart. Much like horses, there are a few bad apples, but overall my pony experience has been so pleasant. 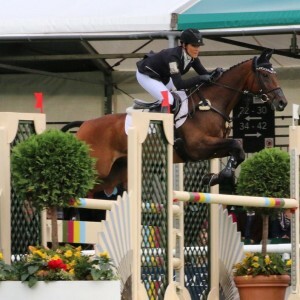 After all, while there always going to be some ponies that refuse jumps, there are others that make it to the top levels of eventing, show jumping and dressage. 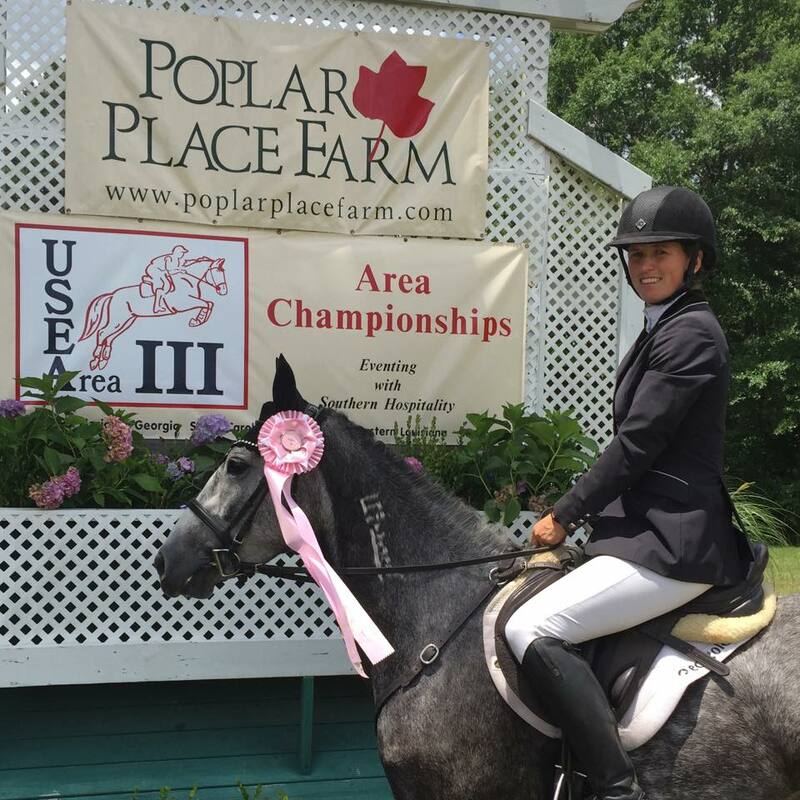 Every year, young riders work hard to qualify for the USEF Pony Finals, the most prestigious pony hunter, jumper and equitation test in the country. Pony Finals is a blast – so many tiny, neatly turned out children and ponies in a very professional environment – it’s a great stepping stone for young riders who want to rise up the ranks! Sport ponies, lesson ponies, and backyard ponies all work just as hard as their larger equine counterparts, and they deserve the same care as horses do. However, pony wraps are notoriously hard to size. I have spent many hours wrapping, unwrapping, and rewrapping standing bandages and pillow wraps around small legs, only to give up, frustrated because either the pillow wrap was too large or the bandage had miles left, no matter how carefully I wrapped it! That’s why I am so happy with Equiflexsleeve’s pony sizes. No more juggling long wraps and small legs, and the peace of mind I have when I walk away from the stalls knowing that my ponies won’t stock up after a hard workout or at a show is the best part. Little legs deserve to be protected and supported just as well as big legs, and thanks to Equiflexsleeve, now it’s easy to care for those snarky little pony legs, too! What’s your pony story? Do you have memories of learning to ride on a shaggy bay shetland, or have you competed around the country with your connemara cross? Share your story in the comments below, and you may be selected to be our next guest blogger, and win a pair of Equiflexsleeves for ponies! Need a pair now? You can order your own Equiflexsleeves for ponies online today.